Silent mist of a REVOLUTION! The presence of graffiti in the Tripoli revolution is absolutely beautiful. Here’s a pretty interesting radio broadcast produced by Morning Edition that goes into more detail about what graffiti means to a revolution. What I admire about the news report is it that the producers refer to graffiti as a significant attribute of the definition of a new-found freedom in an oppressed country. Graffiti is an integral aspect of the revolution! The fact that graffiti is censored so much supports my idea that when a key representation of a revolution is an immense violation of the right to free speech! Agree? Disagree? State your piece below! Side Note: If you’ve been following my blog, you know how much I support bombing. 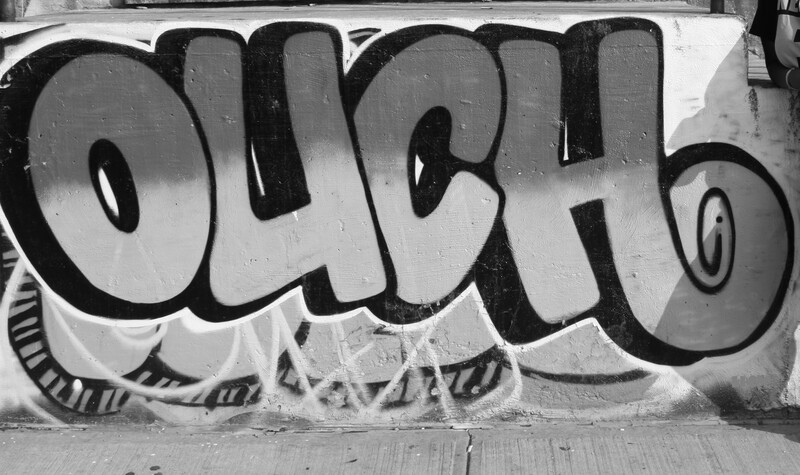 If you don’t you will NEED to hover your mouse over to the right and click on the link that says “graffiti.” You can’t miss it, it’s one of the most frequent topics I’ve posted about. This entry was posted in Photos and tagged graffiti, revolution, Tripoli. I’ve had this mirror sitting in my wallet for years now. 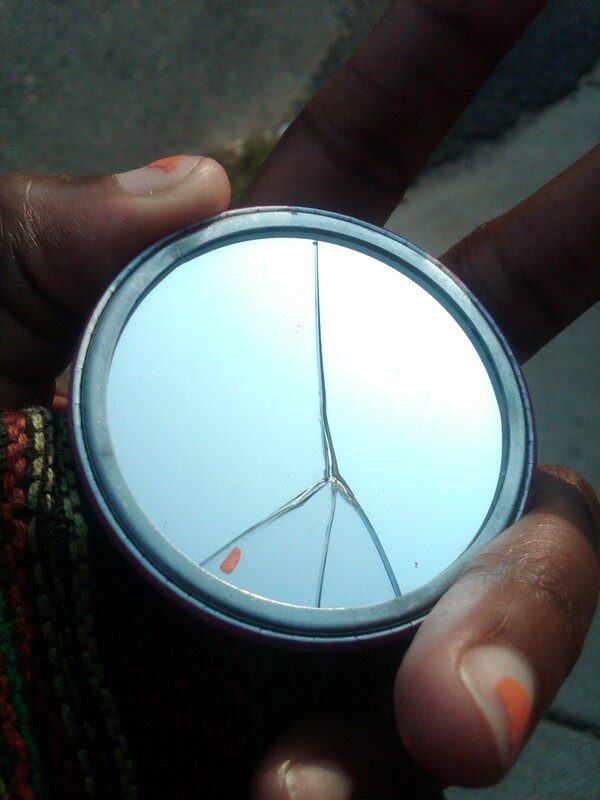 When it finally broke, it broke into a peace sign. What are the chances? This entry was posted in Adventure, Photos and tagged mirror, mobile photo, peace, photo.